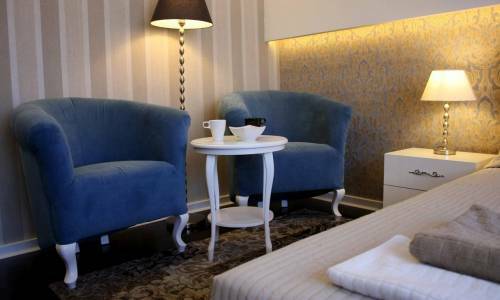 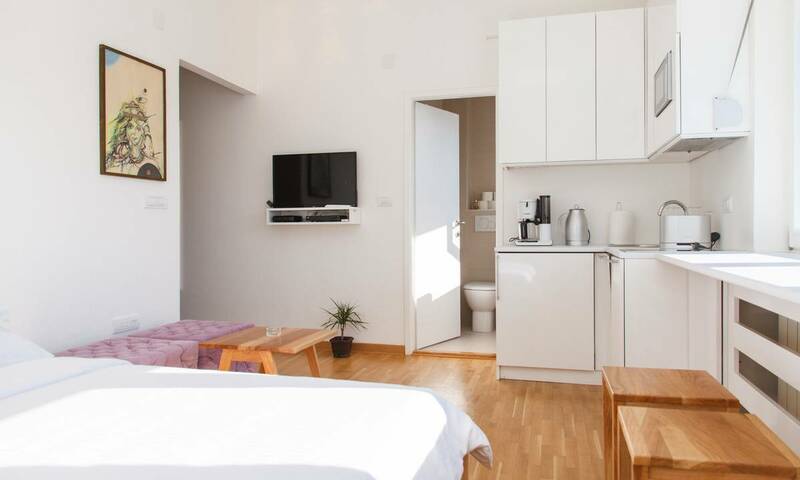 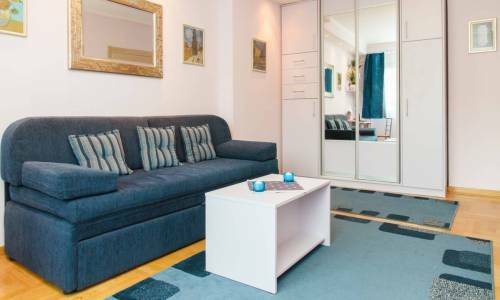 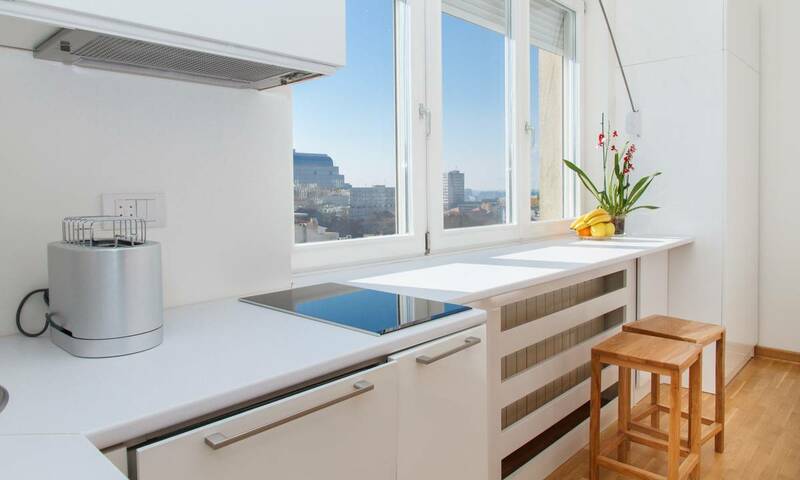 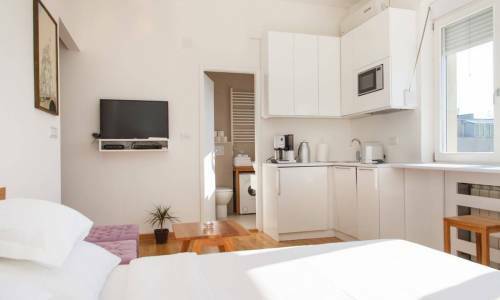 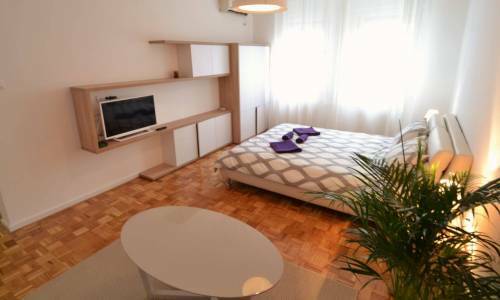 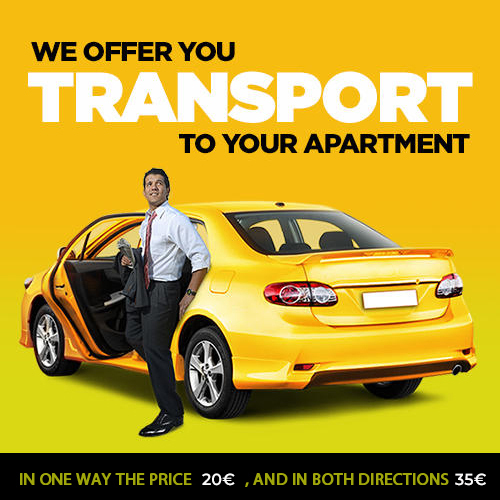 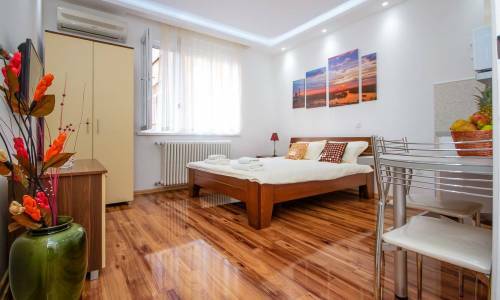 Our new apartment White is located at the corner of Njegoševa and Beogradska street, near the Slavija Square. 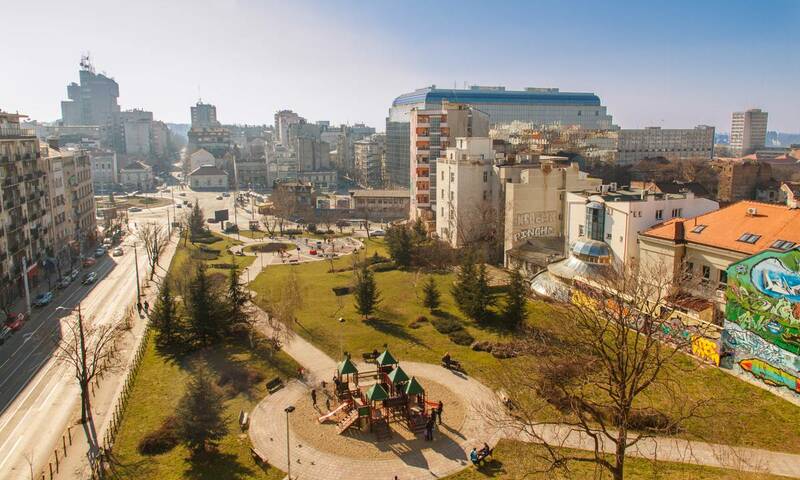 Near the apartment you can find St Sava Temple, Nikola Tesla Museum, Kalenić market, Clinical Centre, numerous embassies... 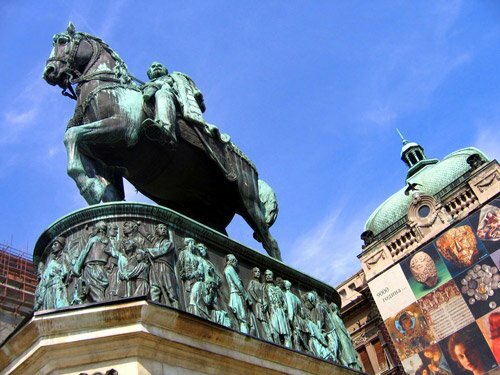 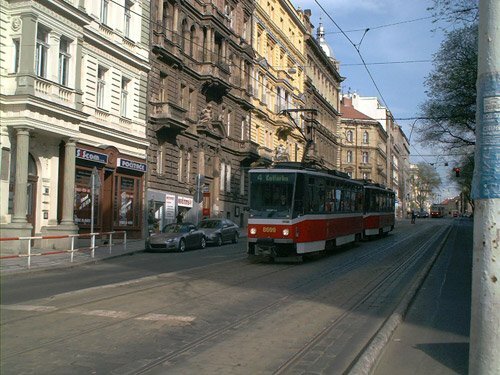 Within 12-15 minutes of light walking, you'll get to Knez Mihailova Street and the Republic Square. 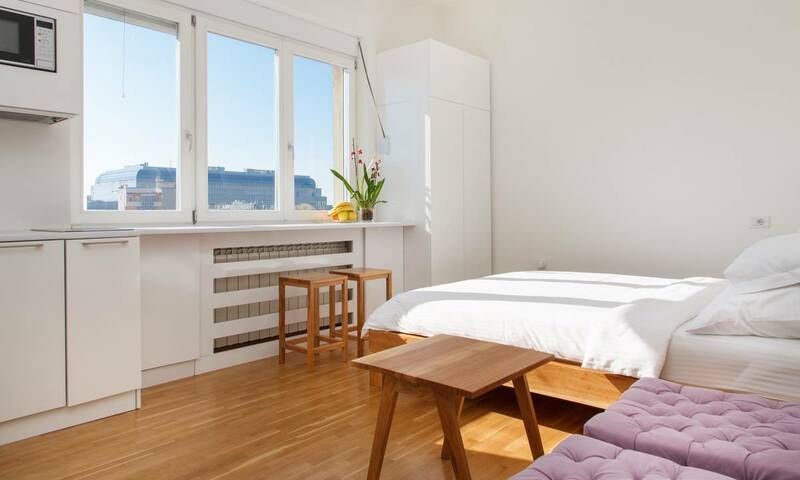 The apartment is very pleasant and tastefully furnished. 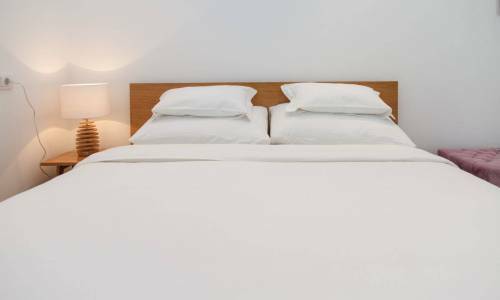 It is intended for one person, or a couple, as there is one double bed. 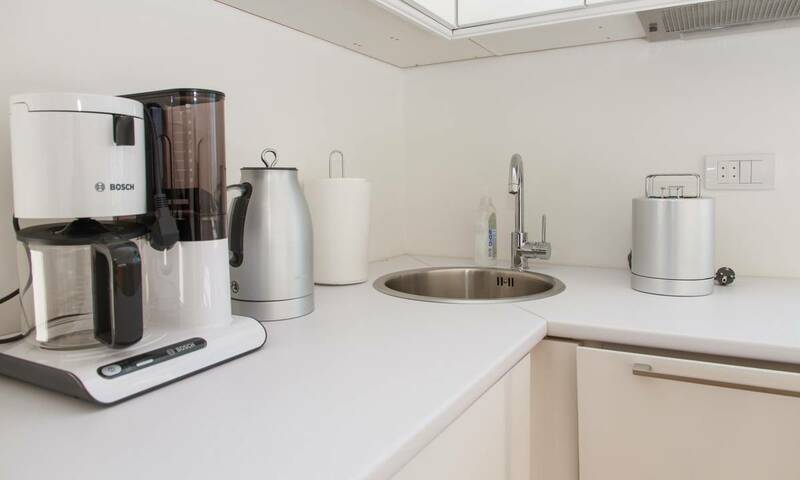 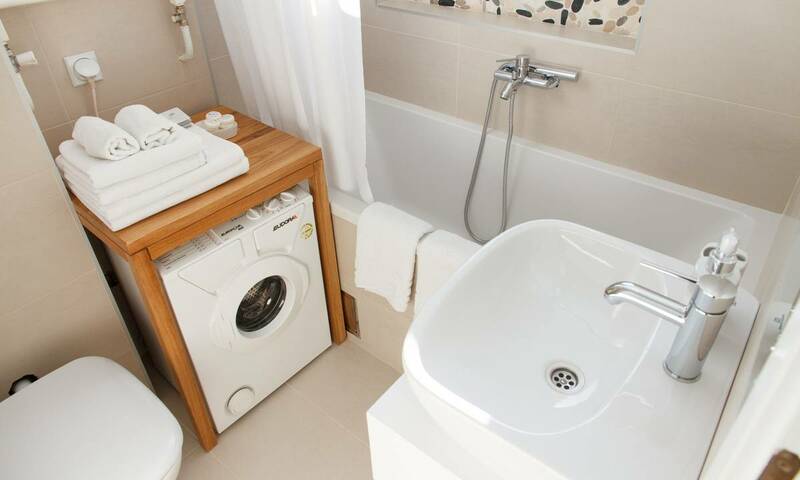 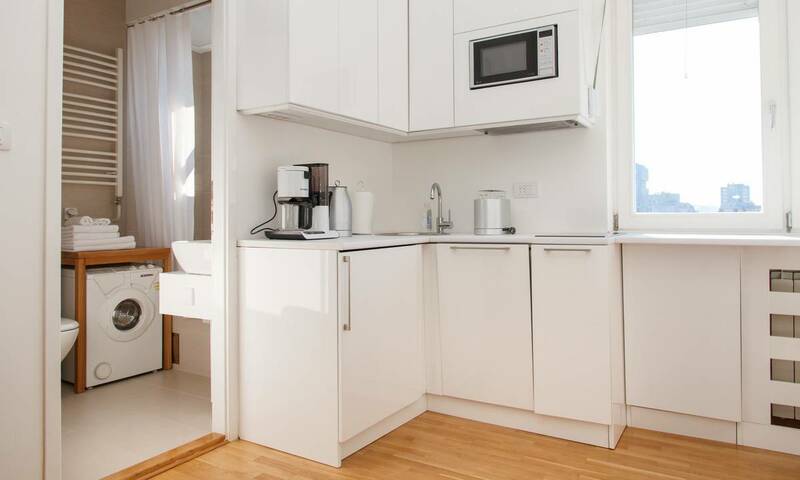 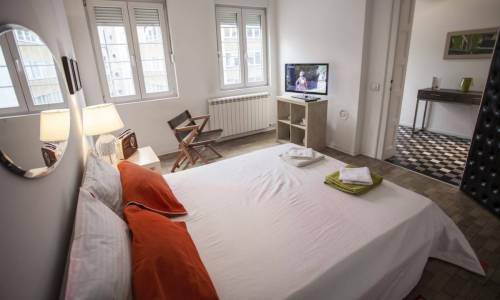 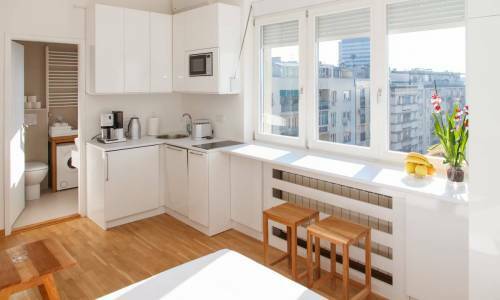 The kitchen is fully equipped and the bathroom is very modern and new, with a washing machine. 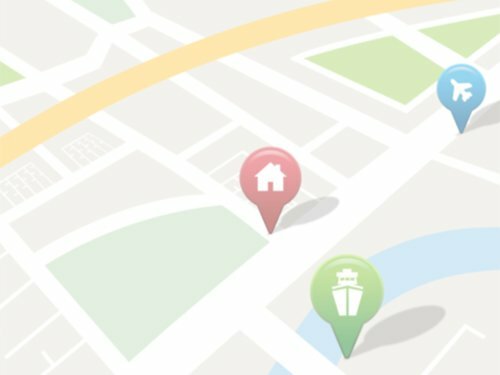 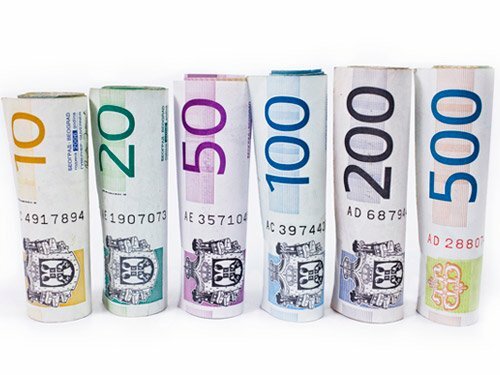 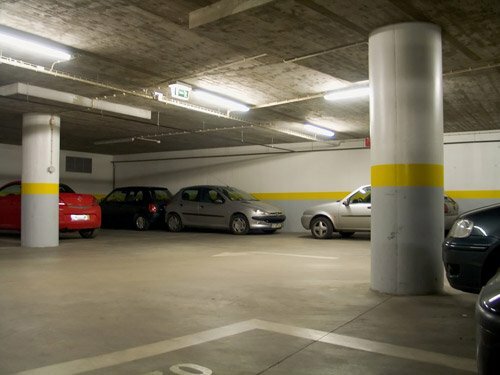 In case you're arriving by car, you can park directly in the street (zone 3) or in a public garage in Slavija.